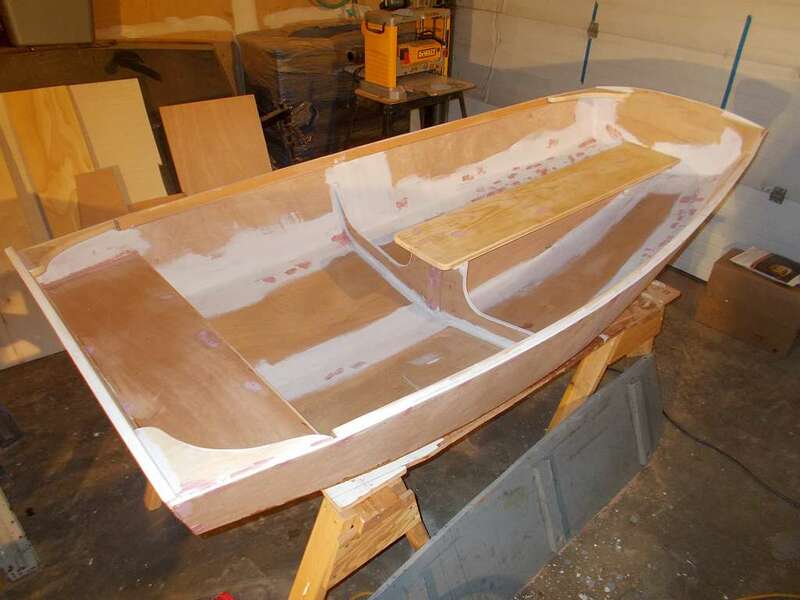 I have been working pretty steadily on the Offcut dinghy, but preparing Tardis for the trip to Vero Beach and a week of meetings getting the Town of Madison off to a great New Year meant I had to stop after finishing the interior. 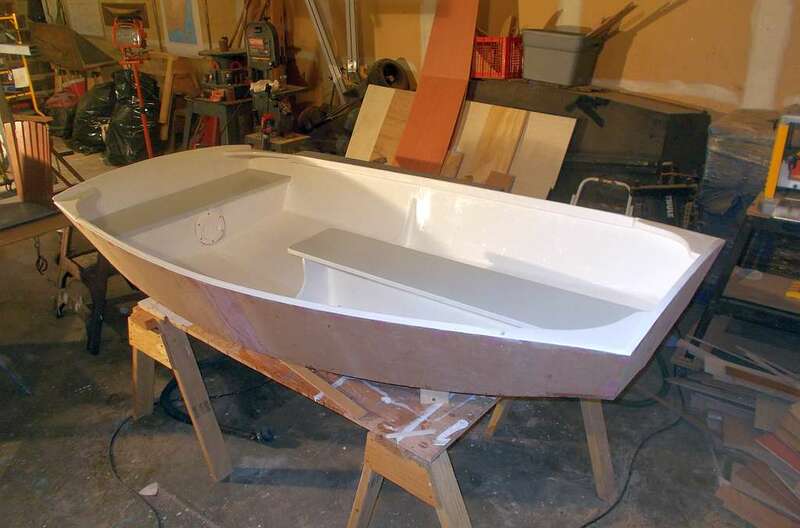 Glassing the hull and paint is all that remains. 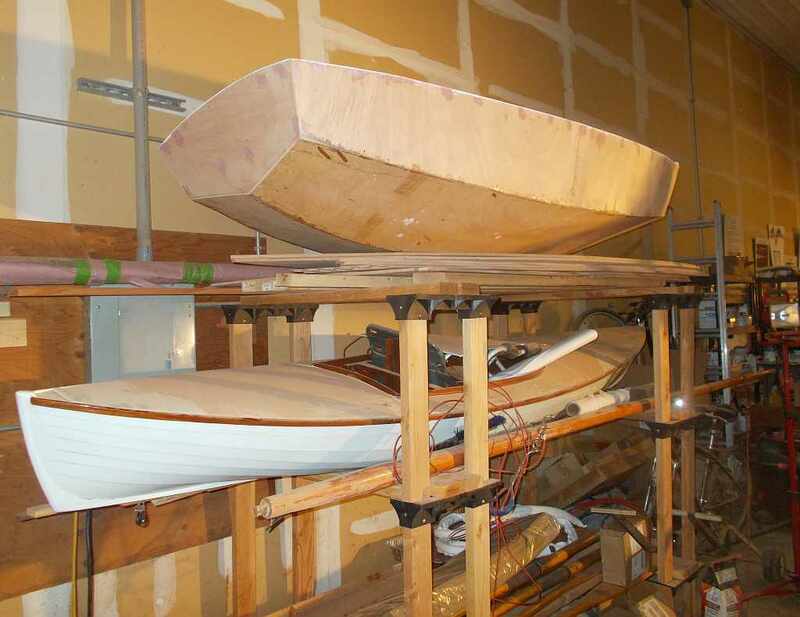 I decided some time ago that she would not make the Florida trip, since there was no way given snow drifts and zero degree temperatures that I could take the cover off the big boat to build a suitable transportation rack and roof-top cradle. Ray sold me a nice little Merc 3.5 outboard that is barely used that I will attach to Memsahib’s old rubber dinghy, probably a more suitable boat for Florida anyway. I really like the looks of this design and ended up giving her a little sharper finish than I had planned. She should row like a witch with that “V” bottom. The big cover is off Tardis and she is packed up for the trip. The big Midwest snowstorm delayed Chadd Mowry the hauler, but she should be picked up Wednesday afternoon or Thursday morning.